I think I am finally figuring it out. You stare, and you stare, keep scanning the most obvious elements of its form only to keep getting the same answers but you accept it, you are staring at it with your own two eyes after all. Surely it is about the running, it must be about the running, and about the finish – surely it is about the personal achievement and even the bragging rights. And, yes, those are good things, worthy things, nearly all the personal motivations for this kind of thing are. But then on second thought, maybe I have had a hunch all along and am finally seeing the subtler forms, the nuances and particulars of it, maybe it is time, age or experience – time alone dictates we are all gaining all these things all of the time. It dawned on me about and maybe came to me through the race shirt… I take great pride and joy in designing it every year. From day one of designing race shirts I never meant for them to be finishers shirts, I never meant for them to be runner shirts, I meant for them to be for everyone, I even meant for them to be for people who maybe were not even at the race the shirt was intended for. I meant for them to stand for something, to symbolize something, to signify something, they were for everyone, if they said they were part of this and they showed us they were part of this through their actions – because they ran, or they volunteered or even if because they believe what we stand for is right and righteous, because they are trail people or aspiring trail people, than it is for them too. Yes, it turns the entire “I can’t wear that shirt because I didn’t run, or I didn’t finish” business on its head, I am for tradition sure, I too have been running for 25 years, but I am also for looking at things in new ways and turning things on their head – tell me I can’t, why can’t I? Because what we stand for is something far deeper than the particulars or how far and how fast, when did these metrics ever become the sole definers of who we are – from my vantage point it is about a type of person and how types of people relate to those around them, how they give back to their community, their fellow human, how they find joy in the success of their fellow human, how they find joy in coming together for commonality and a singular cause, ideas depreciated in modern society and day to day life but not in the Zumbro valley, in the belly of our own personal beast, a laboratory for a grand experiment in exposing every angle of the human condition. It is not just about the runners and the runners only, it is not only about how fast and far they run – if that was all it was about it would not be enough to justify the monumental, back-breaking labor, effort and toil that it takes to pull this off… It is about the human spirit, the human condition – it is about nourishing that spirit and it turns out that some of these events are just the way to do that, and that I suspect is why we do it – if it was just to see who can finish or how far or how fast, if it was just about runners fueling their egos, you could not justify the time, the energy the effort – neither could I. This may all sound like soul searching, and after a hard one, where we all really had to fight to hold it together, sometimes I have to do a little soul searching, probably you too… but as I search my soul I am starting to see the more subtle forms of this good, worthy and righteous group project that we call directing, volunteering and running trail and ultra-races, there is just a lot more there than I thought. I know my words only hold so much weight, so I always try to leave you with something from one of the participants or a fellow volunteer. “Never quit until the good is better, and the better is the best. I would have said you, and your entire team of volunteers reached that “best” status long ago. I really could not conceive how there could be more… I was wrong. What I saw this weekend was beyond anything I could have imagined. Every single person I interacted with was absolutely dedicated to making Zumbro exceed all expectations. They did so in a time that at best was challenging and after 10pm I would call chaos. It is said that adversity reveals true character…I believe it, I saw it firsthand this weekend. Normally I do not like to be wrong, this time I am glad I was”. ~ Rob V.
I know many of the volunteers that signed up to help this year did not or literally could not make it due to the severe weather, we commend and applaud you for making the right and safe call, we needed people to do that. For the few that punched through and got to us, thank you, we needed reinforcements and we are glad that you made it in and out safely. For those that got down on Friday and were the ones to hold it all together for nearly 36 hours straight, you all went so far above and beyond and when you told us it was important for you to continue hanging on so those runners that were already invested in 4 and 5 loops could get their finish, we trusted you and we did just that, together as a team. 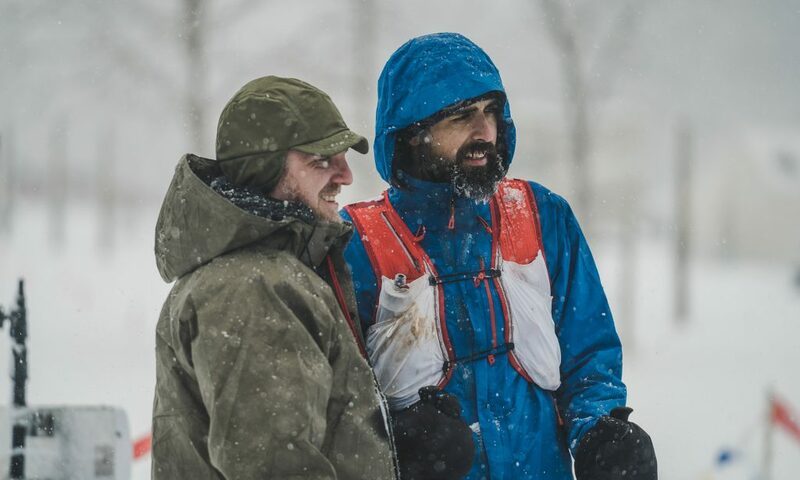 I hope that through the adversity dished up by the 2018 Zumbro Endurance Run that you have started to see this subtler form just as I have – this is important, and more is being revealed all of the time.